Thank You For Your Support In Making Our Community's History Accessible! Moline Public Library Mission Statement: Promote the power of lifelong learning to our diverse community through quality resources and services. or phone 309-524-2456 during Friends Store open hours. We welcome your comments and suggestions on what Friends can do better. The total cost of the new building and its furnishings totaled $65,000.00, including the cost of the site. It was constructed by Peter Peterson. The cornerstone was laid on May 2, 1903, in the northwest corner of the building. Though no ceremony was held, a copper box containing numerous relevant items to the time was placed and sealed into the cornerstone. 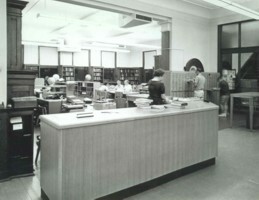 Though the need for a new Moline Public Library was initially noted in 1950, the quest for a new library was reintroduced in 1989. Between the years 1989 – 1992, a new building plan was initiated, building sites were studied, consultants and architects were hired, and public charettes were held to gain feedback. However, before the project truly took off, the drive for a new library ended due various controversies regarding the new facility’s location. 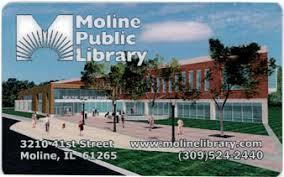 As a result of an environmental study,the Moline Downtown Library temporarily closed in May, 2006 to repair significant hazards resulting from mold, lead paint and asbestos.